That is right, Kodak film is not dead! Yeah, I said it. You see, there has been a lot of doom and gloom in the press and on social media recently about the ongoing woes of Kodak, and how they are about to file for chapter 11 bankruptcy protection blah blah. Yes, Kodak is in a pickle, they have watched their share price tumble to a record low, three board directors have jumped ship and the Chief communications officer bailed this week. This is obviously not a good sign, but people seem to have this idea in their head that Kodak only make film, and that Kodak film is going to completely disappear, and that is just not the case at all. Kodak was instrumental in developing the very thing that has become their undoing, the digital camera. They still hold nearly 1000 patents on core technology that is used in the manufacture of digital sensors. Up until recently they were still making most of the medium format sensor technology on the market. 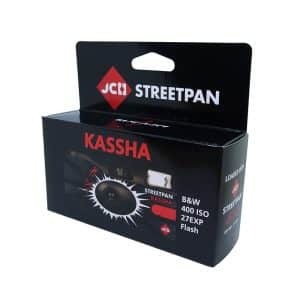 But it has been their own foray into digital cameras that has nailed them. Poorly designed and non market competitive products have all but pushed them out of the digital consumer market. Kodak are planning to sell off their patents to drum up some cash. But as we all know, the major buyers are all vultures and are going to wait until the last possible minute to buy them at a bargain price. 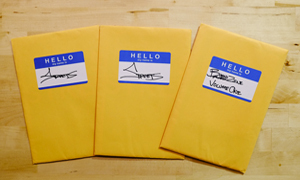 Gone are the days of honoring a name, It is now just about the money. A lot of people got into a bit of a kerfuffle last year about the ‘supposed’ discontinuation of film by Kodak. Which didn’t happen, it was a re-branding of certain products. The only one to disappear was Elite Chrome (no great loss really). Kodak have made a commitment to film, as surprisingly for some, it is still one of the (slightly)profitable sides of their business. While other departments leak money like a sinking ship, Kodak has made repeated announcements to the contrary about the film division. It just seems to get drowned out by all of the noise. What I think we are going to have to see is a different Kodak. The company is going to be broken up, that is pretty much a given. There are still parts of it that are going to make someone else money, and film is one of them. The recent renaissance in film has bolstered the market. The company will still manufacture film, as it is cheap for them to do so, but it is unlikely that we are going to see any more development in new lines of film. As with any business that still turns a profit, there makes no sense in shutting it down, but the scale of production and range of production is going to change. Oh, and expect to say goodbye to slide film in the coming years. It is too expensive to produce, the developing chemicals cost a fortune and not enough people are shooting it. 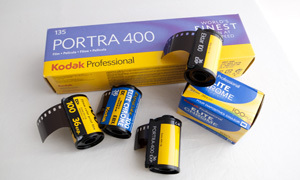 But negative film is in it for the long run, and the Kodak branded versions are here with us for a while yet. Kodak film is not going anywhere, it is just going to change from what we have been used to. Feel free to comment below. Tell us what you think. Well, as someone who only shoots with slide film, I must be in a pickle too. Well, you have a bit of time yet. But it is becoming more expensive, so sooner or later it will stop. So, going by your article, there will be less or close to no research going on to film in new lines from kodak even thought film is giving them little profit. Now isnt that dangerous ? if there is no growth wont it eventually die out? Like cassette tapes for audio died because of no development? Also what is fuji and illford doing with respect to film / new film and research&development ? Arent they making any little profit like what kodak is making out of film? 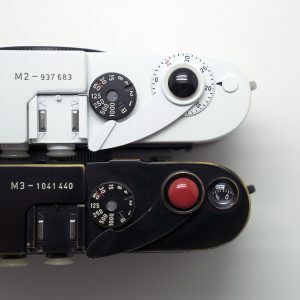 Just a few curious questions from an eager new age film entusiast who just found cameras and is shooting only medium format and film these days! Now this is a matter of economics. While Kodak is in dire straits there is not going to be money available for R&D. But just look what happened to Polaroid after the Impossible project took over, new film all over the place, loads of research and investment. I think that there is a good chance that The film division would get snapped up by another company and then we will see new products starting to come out. 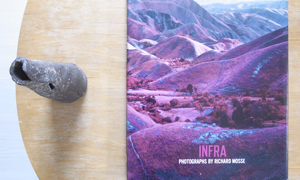 As for Iford and Fuji, I cannot say. They make money from film, but I have not seen or heard of any new lines from them for a while now. But who knows. Fuji and Ilford are very different companies than Kodak. Ilford, if I remember well, is the only company as of yet that hasn’t discontinued any major lines of analog products, at least none of their films. Speaking about polaroid, i have been finding the new line of film very temperamental and is not as nice as a photographer or say the movie industry would expect. Considering they sell most of their film to them and giving them something without R&D wont lead to a sustained interest in film per se. I dread this and think of it as a bad dream . . but your article puts hope. I see what you are saying. I am just keeping my fingers crossed. Why i asked about fuji is that i like their film NS 160 and Reala. I was thinking if they were films that match kodak in their research. Cassette tapes are dead? Maybe nobody other than punk bands are putting out tapes anymore but last time I checked you can still buy blank tapes and cassette decks to record and play them in. Heck, new records and turntables are still around and for sale and it’s been forever since anybody put any real money into development for those things. A more thorough state of ignorance was never displayed with such a laughably absurd and clueless “confidence” — In fact, we are living NOW in the Golden Age of the Turntable, with FAR, FAR more choices available to consumers than ever before, from the newest, cutting edge-gear, to respected (sometimes improved & “re-invented”) vintage items (with the exception of cheap, often nasty cartridges)! Decent-to-great turntables today (minus cartridge, cables, etc.) range in price from $300 to over $175,000 (for real, FUNCTIONAL engineering). Who do you think paid for and developed those MANY new designs — the Sisters of Charity? And before you say “nobody buys that stuff”, the highest tier equipment is very typically SOLD to the end user by pre-order and waiting list before it’s even been manufactured. So, back to your “one-of-the-compliant-sheep” iPhone culture and the Lady Gag-yas, sonny. Some people have better things to do. Re: Ilford’s new lines — they just released Art300 B&W FB paper…yeah not film but definitely a commitment to traditional/analog/darkroom. Simon Galley has said numerous times on record that Ilford’s in it to be the last film manufacturer standing…doesn’t get more ‘commitment’ than that. I suspect your spot on with your observations, one thing is undisputable – FILM use is resurgent. Long live film!!! Nice to see this post and I agree with pretty much everything you’ve said. I don’t think we’ll lose Kodak film, but I don’t think we’ll see any new films from them. But, I don’t need any new films. I’m happy with Portra 400, Ektar 100, and most of all Tri-X. As ong as I have them, I’ll be okay. And if the worst happens and we lose them eventually, there are other films. There will still be other films from smaller, leaner companies. People said that vinyl was dead, but it’s experienced 36% growth in the last year. I believe that we are in the midst of a digital backlash and that will only continue. Not everyone certainly, but many people are tired of the ease and sterility of digital media. Maybe one day, digital will match film. I would love that. That day is not here yet. Long live film! Enjoyable article. I for one wasn’t aware that Kodak’s film division was turning a profit as compared to some other parts of the company. Kodak film sales down 10%. Down 10% from when? From what? As I said, there is going to be a consolidation and rebranding before any film stops. People need to stop being so reactionary. Earlier today I saw a post on Flickr where someone refuted the statement that Kodak’s film division was showing growth by citing estimated rolls of film sold in 2011 compared to 1999. Think about that for a moment. Seriously. I responded by pointing out that film sales were up infinity percent compared to sales figures for the year 1799. Without context your 10% is meaningless. There are a few reasons, I think, why there’s so much bad commentary online about this. 1. People have no idea what Kodak does now. “Kodak in trouble because of low film sales” – no, Kodak in trouble because they’ve made some truly boneheaded moves over the course of a few decades and one of the few profitable parts that they have left (film division) isn’t a big enough part of them to make any difference to the rest. 3. People don’t understand how Chapter 11 BK works, or why a company might choose to file for it. To the uninformed, bankruptcy = death. Ch.11 is no guarantee of survival, but survival *is* the intent. 4. The media, who should know this stuff and inform people who aren’t properly informed, are as usual failing at their job. 5. Some people are just crazy keen to see film go away. Apparently they don’t like choice and don’t respect anyone who chooses differently to them. They seem to take it as some sort of personal insult that anyone would use something they don’t like. They probably hate people who use a different brand of digital camera to them, too. Well stated, Paul: I’ll second that 1-5! Thanks for the rational response to the doom and gloom. 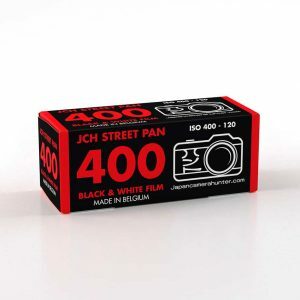 If you really love shooting on film, Keep buying it and shooting it. that supplies will continue to be short and somewhat in doubt. 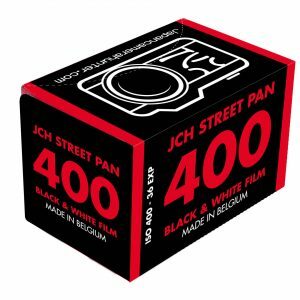 TMAX 100 in bulk rolls are now a “special order” item, as is Ektar 100 in 8×10 sheets. Tri-X in separate rolls is going away, and will be replaced by Pro Packs…Plus-X is being discontinued. And to top it off, there will be a price increase on all Kodak film and chemistry of 5-15% by the end of this month. The film coolers at the store I work at tell the story…the Kodak and Fuji shelves get smaller and smaller, while the Ilford shelves remain the same. Thanks for the balanced view. It’s easy to criticize Kodak for not dominating the digital market, but the full story is of course a lot more complicated. http://www.slideshare.net/Christiansandstrom/kodak-destruction offers a good introduction to some of the challenges they faced in restructuring their organization and finding new sources of income when pro photographers, hobbyists and everyone else made the switch to digital. I like film a lot but really wish there were more labs like http://www.northcoastphoto.com/film_developing_scans.html that did a good job developing and hi-res scanned your images as part of the process. Where I live (Norway), every aspect of film is expensive and time-consuming, so the joy of making film images is offset by the cost, expense and delay of developing and scanning. If the “back-end” of film was better, using film would be more fun, at least for me. That’s Tri-X in 120 separate rolls being replaced by Pro Packs…the 35mm rolls have not changed. In other annoying news, Kodak discontinued their slide duplicating film without informing film labs. A friend of mine who works in another store here in Portland told me he received a large slide copy order from a customer this past Christmas Season…Kodak told him, “Oh…sorry…we discontinued duplicating film in September.” Another friend of mine here in Portland has owned a camera store since 1953…he’ll tell you stories of year after year of Kodak not wanting to talk (or listen) to dealers or the public. The ineptitude has been going on for a long time…and not just at Kodak. I’ve been selling cameras for thirty years, and have seen a number of casualties…Konica, Minolta, Bronica, Vivitar, Chinon, Bell and Howell, Super 8 Sound, Beta, DAT, Minidisc, Laser Disc, APS, Smart Media, XD Media, PCM-CIA, Zipdisk…all of them died due to various combinations of lack of leadership, cooperation, consistent quality, innovation and public involvement. I would like to respond earlier comments about Fuji. People don`t seem to understand that all imaging group only make about 10+% of all Fuji. From that Dig. cameras are about 35% other are film, papers, minilabs, chems, some film cameras and lenses and etc. biggest part of Fuji is their medical solutions with possible high growth of recent purchases. Also their digital camera division has been growing only recently after heavy penetration in China and other Asian countries. So it`s not correct to say that Fuji survived because they made better switch to digital. They just made better decisions in 80-90`s, instead of Kodak which sold all their profitable parts when money problems started to arise (Lawsuits back then) instead of restructuring. They sold their medical division, spinned off industrial chemical company. So this is my short rant. I also shoot mainly slides, but seriously Kodak slides are far cry from Fuji`s so i don`t really care if they will be gone. Kodak slides are a ” Far Cry ” from fuji velvia, this is 100% true. In short I still shot fuji velvia 50 due to it’s unmatched color found from any slides. Kodak’s slides have been anything but Ellite in the many years past. In defense of Kodak they still make the best color negitive films for skin tones and fuji’s will never compare as long as Kodak is around. What really kills a film/digital maker- when they just want to sell pallets of stuff, instead of…..photography. I disagree that slide film will disappear. Kodak may kill Ektachrome, but that is more to due with continued competition against Fujifilm’s slide films, like Provia and Velvia. I shoot Velvia myself, and a large number of professionals also shoot it. It may get more expensive and have a limited selection, with only Velvia, Provia and Ektachrome (if Kodak keeps it), but there still is a steady demand for it. Not to mention that slide film is still equivalent to around 40MP in terms of 35mm and much greater in larger formats. I have it on fairly good authority that within the next couple of years Fujifilm will be drastically reducing their range of slide films due to a huge reduction for demand from the domestic market. For Fujifilm this is their primary market and they have to be seen to be adapting by shareholders. This is obviously not a guarantee, but we should be aware that there is going to be a reduction in what is available soon. Here in Portland, we’ve seen a fairly big drop in demand for slide film…I re-stock the film coolers at my job….I’ve seen very little movement in either the Kodak or Fuji areas. Very soon, there will be only one lab who will do slide film processing in-house here in the city (Citizen’s Photo). Color negative sales have been very good, though (and Tri-X flies off the shelf). I personally like slide film (a lot of my childhood [I’m 53] is on slides), but it’s smart to be prepared for a day when we may see only one or two types available. Why, in the 21st Century — the age of truly global markets and flash communication — would Fujifilm so myopically focus on domestic demand, Bellamy? I’m not disputing your take on the psychology that currently dominates, such as it may be; but without conjecture by means of simplistic, static cultural stereotypes, how does that make any sense, economic OR cultural? For a mature technology, where mostly all you have to do is just make the stuff, how hard can it be to maintain a fairly stable profit margin? From a consumer standpoint, it just doesn’t matter all that much how production gets restructured, or what changes in economic models might be involved — so long as demand, at whatever level, is satisfied in a reasonable way. If some of Fujifilm’s activity in this area eventually gets split off, or sold off, into smaller, more “boutique” subgroups… so what? Back in the mid ’80’s, you “couldn’t find” quality vacuum tubes any more — so they said. And here we are, in yet another Golden Age of the vacuum tube, at least for hi-fi and guitar amps — the Chinese are making $450 a pop audiophile tubes, for Pete’s sake — and that ’80’s era vintage brand “unobtainium” is all over eBay! Film is very much alive. 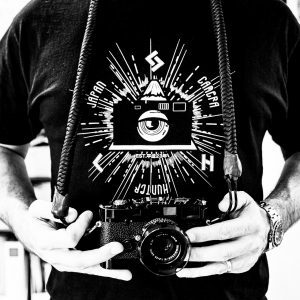 In podcasts: Film Photography Podcast. For wedding photographers. And, personally, I purchased 5 rolls of Kodak film yesterday. Have 20 more in the fridge. The day when 2 types of film are available is long off, as the Chinese photograph millions of frames, and China produces huge quantities of film. 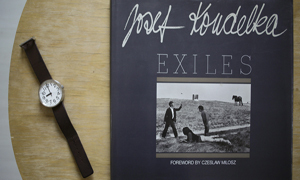 Film of all kinds will be around as long as there are passionate photographers who love it. I realize that this is an old thread but I just stumbled upon it and I think you are wrong about one thing. You mention that slide film will probably go away but negative film is here to stay. That doesn’t make logical sense when talking about color film because people who are still dedicated to film, like myself, almost exclusively shoot slide film. That is how it has always been. Pros rarely shoot color negative film unless they are wedding or portrait photographers. I have been a photographer for over 40 years now and I have rarely known a serious color photographer who shot color negative film. Again, besides wedding and portrait photographers (who have almost all gone digital), pro photographers and serious amateurs have always shot color slide film almost exclusively. The folks who shot color negative film (enthusiasts) have long since gone digital. So if any color film goes first, it will be color negative film. No doubt about it. landscape photographers like myself who work in large format shoot transparency film exclusively. And we are the people who still support film. Second, you are incorrect about E6 film. Here’s why: Color negative film has always been aimed at amateurs, the exception being portrait and wedding photographers, but those photographers long ago switched to digital. Professionals have always preferred E6 films (and Kodachrome when it was available) and they are the ones still shooting film For example, large format landscape photographers like myself shoot with E6 film. If anything, color negative film will die. 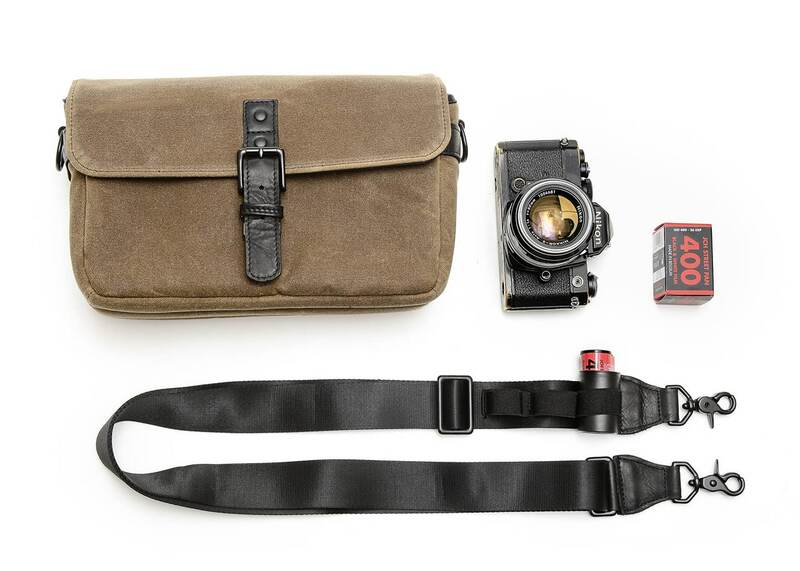 C41 film has always been mostly for snap-shooters and, again, they have gone digital long ago. Third, E6 chemistry is no more expensive to make that C41 chemistry as far as I know and most traditional labs that are still processing film for serious photographers work mostly with E6 film and chemistry. 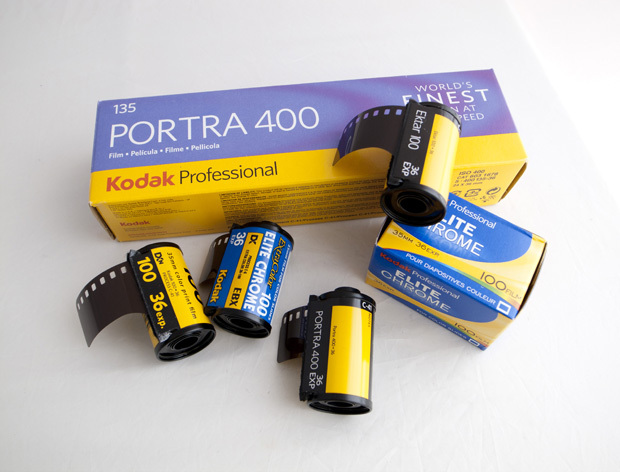 Fourth, since you wrote this blog and confidently predicted that Kodak would continue manufacturing film, Kodak has since announced that they are selling their film divisions. Well, one report I have read says they will continue to make movie film and large format aerial film, etc., but at this stage, nobody knows. Not long ago, Kodak announced that it was definitely NOT going to sell it’s film business but it soon changed its tune about that. Things are up in the air at this point. As a professional photographer who shoots exclusively with large format film, I just hope that if Kodak does sell it’s film divisions, whoever buys them will continue production. However, I only use Kodak b&w films. I do not use Kodak color films. I know this is a 3-year-old comment, but just had to point out– AmE and BrE are different in terms of treating singularity/plurality of nouns that refer to groups. In AmE, “Kodak is” is correct. In BrE, “Kodak are” is correct. 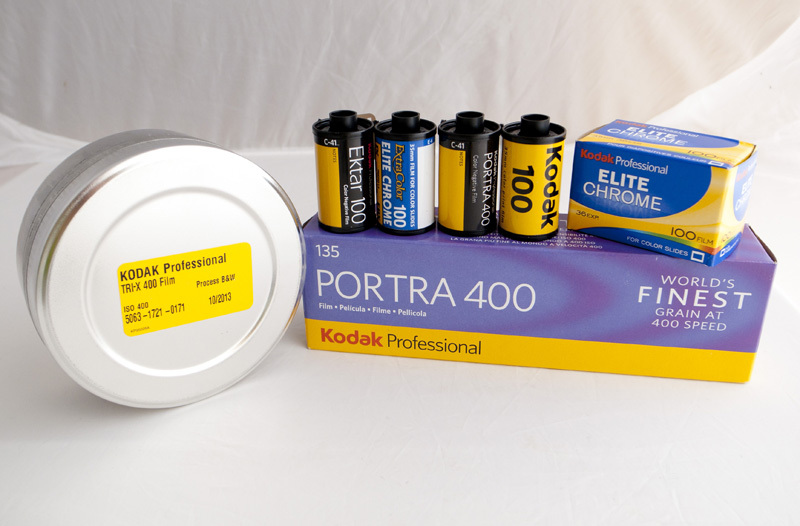 What’s the status of Kodak film availability as of this date? It’s all still Jimi Hendrix to me.